Will More Black Democratic Political Staffers Shift the Midterms’ Outcome? Larry Busacca/Getty Images for Time Inc.
During a press call Tuesday, Rep. Steve Israel of New York, chairman of the Democratic Congressional Campaign Committee, laid out what he sees as the Democrats’ best chance at victory in the upcoming midterm elections. Unlike previous election cycles, when much of the party’s outreach focused almost exclusively on mobilizing key groups to go to the polls—particularly minority voters—this year Democrats are employing a new tactic: recruiting and mobilizing more minority staff. Even though black voters are the party’s most reliable constituency, a long-standing complaint about Democratic campaigns has been that candidates only show up in the black community a couple of months before Election Day, and when they do, rarely do they have any black decision-makers from the campaigns in tow, because rarely do the campaigns have any. 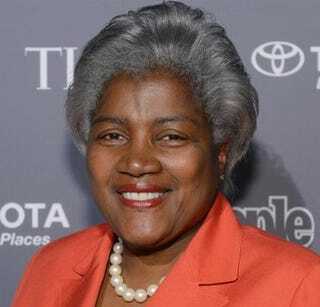 To this day, only two African Americans have managed a major-party presidential campaign: Donna Brazile managed former Vice President Al Gore’s 2000 presidential campaign, while Maggie Williams briefly managed Hillary Clinton’s 2008 race. Williams replaced Patti Solis Doyle, the first and only Latina to manage a major presidential campaign. Then-Sen. John Kerry’s 2004 campaign was heavily criticized for a lack of staff diversity. And recently, Democrats faced criticism for their dismal record in hiring minority-owned consulting firms. Asked by The Root if the criticism has fueled this newfound commitment to staffing diversity, Israel gave a candid response. “It’s about accountability and winnability,” he said. Asked whether the DCCC has found a way to address one of the greatest barriers to diversity in politics, it becomes clear that it, like many institutions, still has work to do. While the organization has a number of programs aimed at recruiting young people of color into the field of politics—including its Organizing Fellowship program, which has recruited hundreds of young people, many from HBCUs, and helped them find employment on campaigns—it still does not offer paid internships. And as I’ve written before, unpaid internships have led to a burgeoning class divide in which young people from privileged backgrounds are given a leg up over those who cannot afford to work for free. An analysis by The Atlantic found that the political world is actually one of the fields most likely to be populated by young people of privilege. Gregory Jackson, the DCCC’s national field director, who is African American, highlighted how important the fellows program—run by DCCC National Training Director Brandon Thompson, who is biracial—is to creating a long-term pipeline of diversity. In addition, Israel notes that the organization has hired a diversity director for the first time, who, along with the new database the DCCC is using to track diversity, will be key in ensuring that the party’s staff and leadership are more representative of its voters. But if the pipeline is reliant on recruiting more young people of color who can afford to work for free, the party may just trade a lack of racial diversity for a lack of class diversity. Reached for comment, the Democratic National Committee said that it, too, has a fellows program, in which all expenses, including meals, are provided for participating students, but does not currently pay its interns. The Republican National Committee, by contrast, wrote in an email that it does provide paid internships.